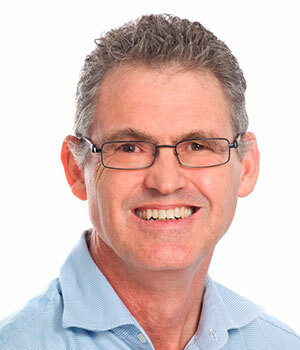 Mike Ward holds the Chair of Finance at GIBS, where he teaches on the MBA, DBA and Executive Education programmes. He is the author (together with Allan Price) of “Turning Vision into Value”, a best-selling book which explains strategic value-creation concepts to operating executives. Mike has research interests in investments and corporate finance. He has published widely and is an NRF rated researcher. He is on the editorial board of the Investment Analyst Journal and a referee for several academic journals. Prior to joining GIBS in 2004, he was the director of Wits Business School for six years, and for four years he was the director of Pretoria’s Graduate Business School. Mike teaches regularly at the Rotterdam School of Management, Netherlands. Ward, M., Muller, C., & Strydom, J. (in press). The impact of regulatory fines on shareholder returns. South African Journal of Business Management. Arendse, J., Muller, C., & Ward, M. (2018). The winner takes it all: Outperformance drives subsequent flows in South African Unit Trust Funds. Investment Analysts Journal, 47(1), 1-14. Ward, M., & Muller, C. (2017). Market reaction to tender and private offers on the JSE. South African Journal of Business Management, 48(4), 1-11. Johannesburg Stock Exchange-listed companies. Southern African Business Review, 21, 85-97. Ward, M., Muller, C., & Moodley, N. (2016). Director dealings as an investment strategy. Journal for Studies in Economics and Econometrics, 40(2), 105-123. Miller, C., & Ward, M. (2015). The market impact on shares entering or leaving JSE indices. Investment Analysts Journal, 44(1), 84-101. Taljaard, C., Ward, M., & Muller, C. (2015) Board diversity and financial performance: A graphical time-series approach. South African Journal of Economic and Management Sciences, 18(3), 425-448. Muller, C. & Ward M. (2013). Style-based effects on the JSE: A graphical time-series approach. Investment Analysts Journal, 77. Ward, Mike & Muller, C. (2012). Empirical testing of the CAPM on the JSE. Investment Analysts Journal, 76. Ward, M., & Thaver, K. (2011). Abnormal Volume Traded as an Indicator of Insider Trading. Journal of Studies in Economics and Econometrics, 35(1), 1-20. Ward, M., & Muller, C. (2011). Active share on the JSE. Investment Analysts Journal, 72(2), 17-26. Ward, M., & Muller, C. (2010). Momentum effects in country equity indices. Studies in Economics and Econometrics, 34(1), 111-127. Ward, M., Muller, C. & Pillay, N. (2010). Fund size and returns on the JSE. Investment Analysts Journal, 71, 1-11. Ward, M., & Muller, C. (2010). The long-term share price reaction to Black Economic Empowerment announcements on the JSE. Investment Analysts Journal, 71, 27-36. Ward, M., & Terblanche, R. (2009). Market timing on the JSE using exchange rate fluctuations. Investment Analysts Journal, 70, 1-10. Ward, M., & Khan, A. (2008). The impact of collections strategy on the profitability of unsecured bank micro-loans. Studies in Economics and Econometrics, 32(3), 1-19. Ward, M., & Du Plessis, A.J. (2008). A note on applying the Markowitz portfolio model as a passive investment strategy on the JSE. Investment Analysts Journal, 69, 39-46. Ward, M., & Smit, C. (2007). The impact of large acquisitions of the share price and operating financial performance of acquiring companies listed on the JSE. Investment Analysts Journal, 65, 5-14. Ward, M. (2006). Factors affecting credit assessment. South African Journal of Accounting Research, 14(1), 39-50. Ward, M., & Muller, C. (2006). Seasonal timing using put option portfolio protection on the on the JSE. Investment Analysts Journal, 64, 5-14. Ward, M., & Muller, C. (2005). Hedge funds: An introduction. Investment Analysts Journal, 61, 49-54. Ward, M., & Millson, R. (2005). Corporate governance criteria as applied in private equity investments. South African Journal of Business Management, 36(1), 73-85. Ward, M., Pascoe, G., & MacKenzie, D. (2005). The influence of economic factors on rights issue announcement. Investment Analysts Journal , 61, 17-28.